HomeCelebsWill 'Zero' have a qawwali featuring Shah Rukh Khan and Katrina Kaif? Will 'Zero' have a qawwali featuring Shah Rukh Khan and Katrina Kaif? 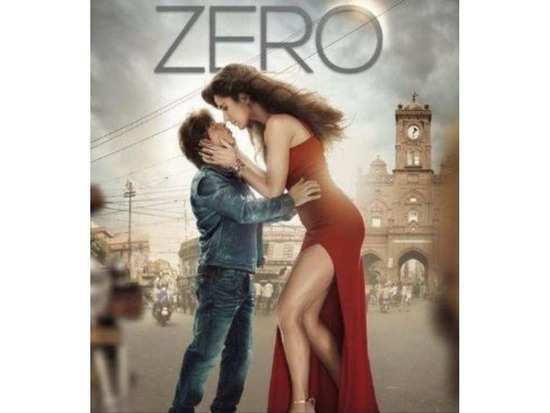 Shah Rukh Khan starrer 'Zero's's trailer has been doing exceptionally well. Ever since the trailer was released, the audience has been going gaga wondering what the film will be all about. While we already know that SRK plays a dwarf, Anushka plays the role of a specially-abled individual and Katrina plays a superstar, here's one more thing to look forward to in the film. Talking about Katrina, he said, “We have done 'Pashmina' ('Fitoor', 2016) and 'Kaala Chashma' ('Baar Baar Dekho', 2016) with her. This is one of the biggest dance numbers that we have shot with her in terms of scale.” The film is all set to release on December 21. Stay tuned for more updates. 1Will 'Zero' have a qawwali featuring Shah Rukh Khan and Katrina Kaif? 4Deepika Padukone finalises her mangalsutra and here's its worth! 10Are Ranbir Kapoor and Alia Bhatt all set to tie the knot next year?